Q. How can I renew a book on my account? Can I renew a book or DVD online? 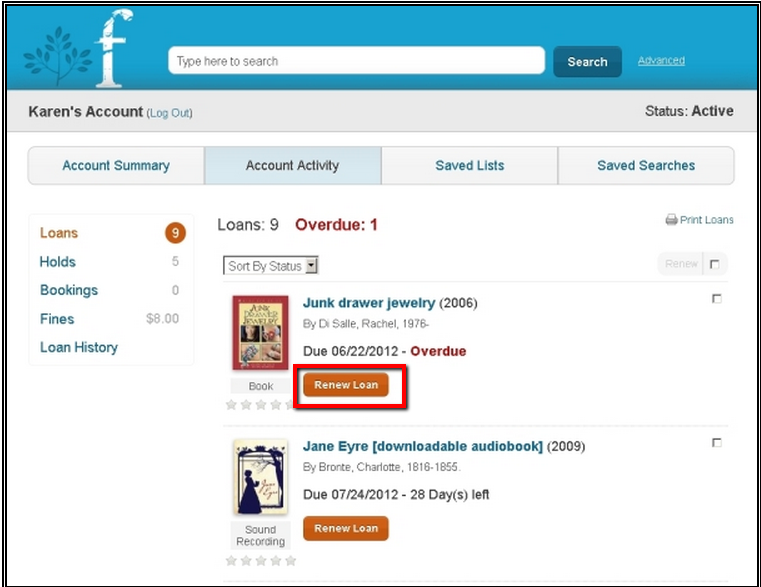 Books and media may be renewed online through My Account in the online Library Catalog. 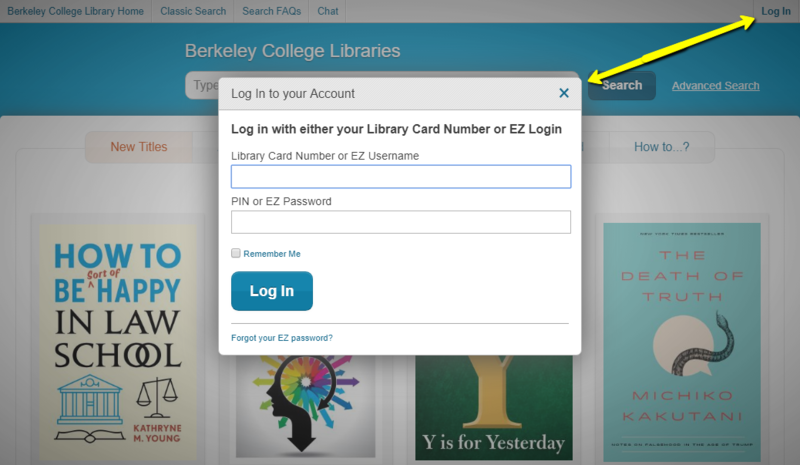 Logging into My Account, will show you all of the titles that you currently have checked out from the library, allow you to renew items that you wish to keep out longer, and check on the status of books that you have requested. Click on the Log In button on the upper right to sign in. Contact the nearest Campus Library if you are having difficulty signing into My Account or if your library account is listed as expired. Click on the dropdown arrow next to [your name] Account in the upper right of the page. 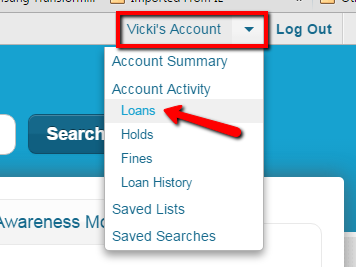 From the list that appears, you can click on the Renew Loan button on the item you wish to keep longer. The loan will be renewed for another loan period and the Due Date will be updated.